Health officials have recalled a cough syrup for babies over concerns that it may be contaminated with bacteria that can, in rare cases, be deadly. 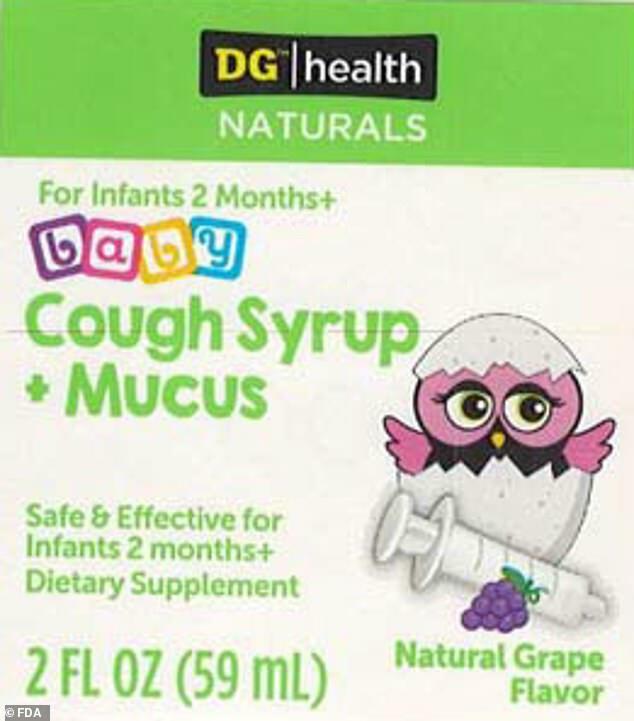 Dollar General stores across the country are pulling DG/health NATURALS baby Cough Syrup + mucus from their shelves. A batch of the cough syrup may have come into contact with Bacillus cereus/Bacillus circulans, a type of bacteria that can cause vomiting and diarrhea. Typically these illnesses run their courses within a day but, in rare cases, toxins from the bacteria can cause kidney failure. Any bottle marked with the expiration date ’11/20′ should be returned or discarded immediately to safeguard babies against infection. The two forms of bacillus bacteria are generally found in soil. But if they reach the food supply, they can easily multiply rapidly while sitting at room temperature. Bacillus cereus bacteria are a common cause of food poisoning, and livestock have to be vaccinated against it to keep the bacteria from reaching the human population. Bacillus circulans is also soil-dwelling and causes food poisoning, but has also been linked to sepsis and meningitis, particularly in people with compromised immune systems. This makes the possible contamination particularly worrisome. Dollar Tree’s cough syrup is formulated and approved specifically for infants over two months old. Babies are born with some of their mother’s immunity intact but it fades and their own immune systems keep developing through the first few months of their lives. They may not have mature immunity until they are three months old. Without fully-formed immune systems or antibodies against bacillus bacteria, contaminated food – or medicine – could be particularly dangerous babies in this vulnerable time. It’s not yet clear how many bottles of cough syrup were contaminated. But the US Food and Drug Administration (FDA) says that one in 10 bottles from one batch tested positive for low levels of Bacillus cereus. Another two in 10 bottles tested contained small amounts of Bacillus circulans. For now, all production of the cough syrup has been halted as the FDA continues to investigate the contamination’s specific source. Meanwhile, the product’s maker, Kingston Pharma, has voluntarily recalled all bottles of its infant cough syrup. Anyone who bought the cough and mucus syrup can return it to the Dollar General store where they originally purchased it.